This article is located on http://www.designingspaces.tv/bringing-suns-power-within-reach/. Homeowner Joey is having a new solar shingle system installed on the roof of her home. Think Green Correspondent John McCalmont meets with Katy Collardson from CertainTeed Solar to witness the installation of the new Apollo Solar Shingles on Joey’s house in Shreveport Louisiana. Many homeowners consider traditional solar panels an eyesore, but the Apollo Solar Shingles have a very clean, sleek appearance. They achieve maximum efficiency using polycrystalline solar cells mounted in arrays that produce twelve watts per square foot—more than double the output of other solar shingles on the market. This results in reducing environmental impact and reducing electric bills; even to the point of getting an electric bill credit. Think Green…Live Green! Are you looking for better ways to cut down on energy costs, while getting the biggest bang for your buck? CertainTeed®’s Apollo™ Solar Shingles provide a wonderful solution to both of those problems. Unlike traditional solar panels which require the use of an ugly and bulky mounting rack, Apollo™ Solar Shingles are easily mounted right to your roof and integrate into your roof’s design. 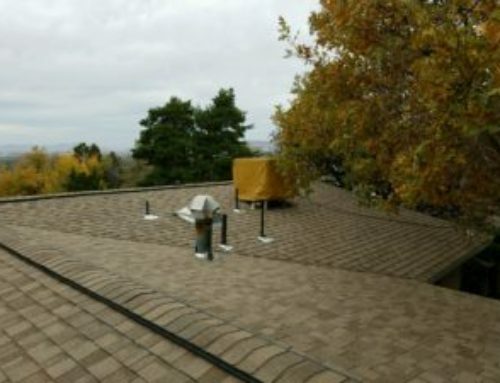 • A fully integrated look can be retrofitted for existing systems or installed along with your new CertainTeed shingle roof. • Lightweight shingles, no need for rack mount or structural reinforcement. • An exceptional snow load capacity (250 lbs. per sq. ft.). • A 25-year power generation warranty. • A Class A fire rated system. • Shingles that are UL1703 approved. • A 110 mph wind warranty. • Shingles to be designed for integration with flat, concrete tile roofing products. • Shingles that are UL790 Class A approved. • Shingles which are available in gray or brown frame. In addition to providing you with all of these wonderful features, Apollo™ Solar Shingles reduce carbon emissions and will also reduce your home’s draw on the grid. As a bonus, if you don’t use all of the power saved up by your solar shingles, then you save even more money on your electric bill.